Wendy is a Scottish 'refugee' living in God's Own Country - in other words North Yorkshire! 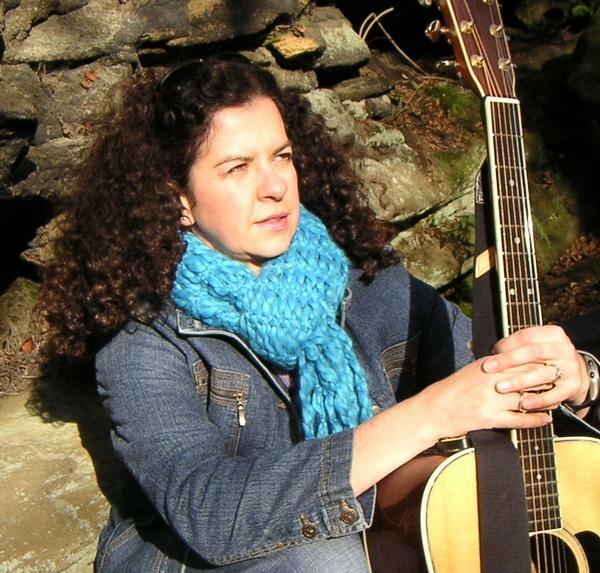 "Saltburn Folk Festival Songwriter competition won by a young lady - Wendy Arrowsmith - tremendous song and what a voice and performance .I think we're destined to hear more of her voice and guitar - brilliant singer - a gem." Pete Betts, M.C. At Saltburn Folk Festival following Wendy's main stage performance of 'The Visitor'. Wendy has spent the last year performing in the North Yorkshire (& beyond) folk clubs, pubs and festivals both as a booked act and in more informal sessions. She has a growing reputation as a singer, songwriter & performer. 'The songs I love to sing come from a wide range of sources - some written by me, some are traditional Scottish and Irish ones which I've known since very young and others are American. '. Music has always been part of her life - She first remembers singing in public at a Sunday School Christmas Party aged about 3½. Since then she dabbled in various kinds of music ranging from operetta to Bluegrass, via choral and prog rock.